Thanks to the ever-innovative outlook of Baadur Jobava, the old …dxe4, …Bd7-c6 plan in the French Defence – with its reputation for being a fast track to equality – has recently come under the spotlight of top-level tournaments. However the Georgian GM’s enthusiastic backing of this line for Black is now being seriously challenged by an equally creative opening analyst, GM Alexander Morozevich, who is up and ready to fight White’s corner! And he is well aware of the consequences: “Though this article may rather upset Baadur and other fans of the 4...Bd7 system, the ideas and resources I have found for White will surely prompt Black to pay serious attention to a new weapon” – he boldly declares in his latest “Midnight in Moscow” column. So, what is this lethal weapon, you may well ask? Well, to give you a clue, perhaps you might care to consider to what extent such a vulnerable target as Black’s f7 square might fan the flames of the imagination of such an ardent attacking player as Mighty Moro! The most important and most fiercely contested tournament of the season has just ended in Saint Louis – and won somewhat surprisingly by Levon Aronian. Yes, the Armenian grandmaster’s sudden return to top form, after a string of below par performances, enabled him to convincingly take possession of the Sinquefield Cup, in a contest which also represents the American leg of the new “Grand Tour” which climaxes in London in December. Levon’s well-deserved victory has also earned him an even greater honour – to be the face of Chess Informant 125’s prestigious back cover! Our grandmaster contributors have been specially assigned to analyse games from Saint Louis in accordance with their own preferred style of play. Thus GM Sarunas Sulskisuncovers underlying strategic ideas that make the difference between a draw and a win, while GM Michael Roiz, long-term second of former world title challenger Boris Gelfand, takes stock of those tactical skills that are so vital for scoring the full point in close contests at top level. 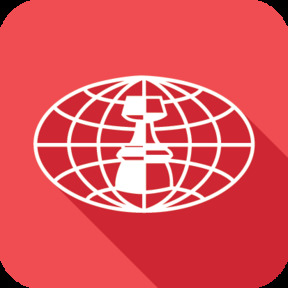 GM Aleksandar Colovic sums up the big picture with an up to date assessment of the “new world order” in today’s chess environment. And there is more… In his “New Romantics” column GM Pentala Harikrishna includes a game from Saint Louis which is reminiscent of the brilliant play of 19th century immortals Paul Morphy and Adolf Anderssen. GM Mihail Marin too finds good reason to make instructive comparisons between the old and new masters, identifying similar middlegame plans and confirming the need to respect that timeless golden rule – do not forget to develop your pieces! A dark shadow was cast over world champion Magnus Carlsen at the elite “Norway Chess” tournament, and our reporter, GM Mauricio Flores Rios, was determined to find the cause of this rare phenomenon. After all, we have a tendency to regard world champions as invincible gods… Well, that is until they show us their human side! With his customary mathematical precision, Mauricio carries out a thorough investigation by analyzing all nine games that Magnus played in what was his worst tournament for the past five years or so. Four Chinese dragons have leapt out from the mythical world of fairytales into the harsh reality of today’s highly competitive chess arena – their names are Wei Yi, Ding Liren, Yu Yangyi and LI Chao. Over the years GM Ivan Sokolov has played against successive generations of Chinese players, but never before has he been as impressed as by the remarkable achievements of this band of 2700+ young brothers-in-arms. And, by way of explanation, he annotates a selection of electrifying games they have played in recent events. For the first time in Chess Informant, GM Keti Arakhamia-Grant departs from her usual terrain of women’s chess and responds brilliantly to our suggestion that she discuss the rather neglected topic of David vs. Goliath. This entailed diligent research but was rewarded by enlightening discoveries which any ambitious player will surely find both useful and encouraging. After all, isn’t it a frequently asked question: Why exactly is it that a player is expected to win without difficulty against an opponent with a far lower Elo rating? And what are the chances for the underdog? You have probably already seen giant-killers in action, scoring sensational victories. Oh yes, but have you ever asked yourself why don’t they have the same motivation and achieve the same results as the giants they kill? Our “Mirroring” column by opening expert, GM Emanuel Berg, is centered this time on the increasingly popular move 6.h3 against the King’s Indian Defence – which amounts to a sparkling revival of the age-old Makogonov variation. Emanuel examines the consequences of the ensuing sharp play from both sides of the chessboard. In fact, in keeping with his advocacy of “equal rights” on the chessboard, he even presents one of his own wins as an illustrative example of how to win – with Black! Endgame specialist, GM Karsten Mueller, focuses on the theme of Rook vs. Bishop, when pawns are present on one or both wings. Step by step, in clear instructional fashion and with the help of 18(!) examples from recent practice, Karsten draws important conclusions which will serve as constructive guidelines for practical players. Shortly before he passed away in June this year, the 6-time US champion Walter Browne submitted a couple of recent games for publication in Informant. Two Sicilians – one where he was playing White, the other with Black. Though the opponents were not grandmasters, the games were nevertheless classic Walter Browne – whose style was forged as a teenager in 1960s New York under the direct influence of Bobby Fischer. Browne’s very last annotations are now presented with his own verbal comments. The seventh (and last, don’t be sad!) installment of GM Vassilios Kotronias’ comprehensive “book within a book” on the Alapin variation, 2.c3, deals with the large number of alternatives occurring after the main move 7.Bc4 in the 3...Nf6 variation. All these articles, which make up the first half – and even more! 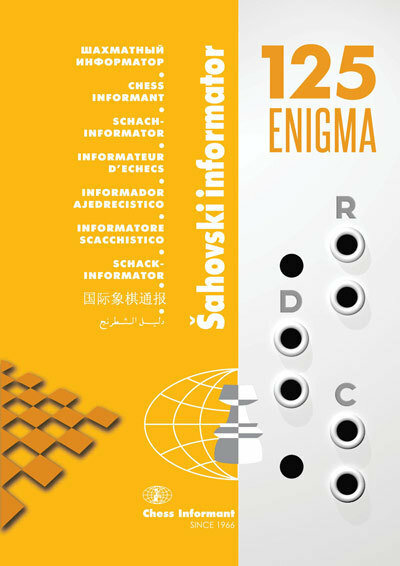 – of Informant 125, are presented in plain English, whereas the second half maintains our half-century tradition of selecting the most interesting games, combinations, endings and studies from recent events with non-verbal annotations by the players themselves or our in-house team of grandmasters and international masters.